Boron is a chemical element used (in the form of boric acids and borates) in a wide range of industries. It's used in glass and fiberglass manufacturing, nuclear power plants, in soaps and detergents (though rarely now), and in agriculture to produce fertilizers and pesticides. It's also used in medicine to produce pharmaceuticals and anticeptics, and in cancer treatment. 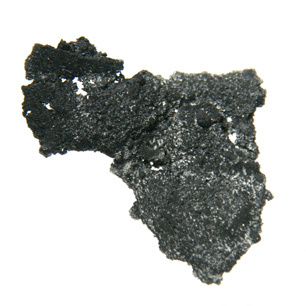 Boron is most abundant in oceans, and can arrive in water naturally through leaching from rocks and soil, or through wastewater from industrial sites. Most human exposure to boron comes from fruits and vegetables. In small amounts, boron is an essential nutrient, affecting the body's ability to metabolize nutrients. Deficiencies in boron can lead to changes in blood chemistry and growth rates. Exposure to large amounts can be toxic, with acute exposure causing gastrointestinal symptoms such a vomiting, abdominal pain, diarrhea and nausea, and sometimes causing dermatological and neurotoxic effects (lethargy, headache, lightheadedness). It is not believed to be carcinogenic, but has been shown to cause changes in the male reproductive system. According to the World Health Organization, reverse osmosis or ion exchange “may enable substantial reduction,” with results varying depending on pH. This pH depenedence is due to the formation of borate ion, a more easily removed form of boron, at pH above 9.24. Very acidic water has about a 25-40% removal rate with reverse osmosis, but the WHO reports that tests on water with high pH (around 9.5) have achieved removal rates nearing 100%.